Simple lines and trimmed drawer and sides make this side table adaptable with any decor. 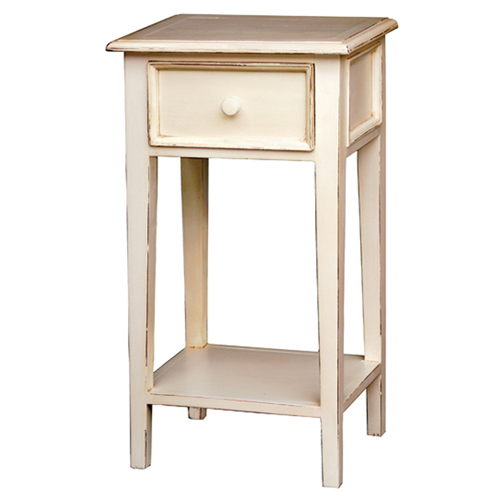 Shown in Butter Cream Light Distressed painted finish. Handcrafted from solid premium mahogany.